Today was the first official day of Kozakov 2016 (the freeride day is optional and also open for non-idf riders). Riders got on the line at 9 and we started of with some practice runs. While the riders were taking their runs in the sun we set up the timing system to test a few different scenarios. Around 3 we started with the first timed quali runs. We spaced the riders out 10-15 seconds at a time and sent them down an 'empty' track. There was quite some discussion going on at the event, amongst riders, organisation and the IDF reps/board members on site, about group qualifying instead of solo qualifying. To be clear, this has never happened at Kozakov and it will also most likely never happen on Kozakov, not when Honza is organising the event. 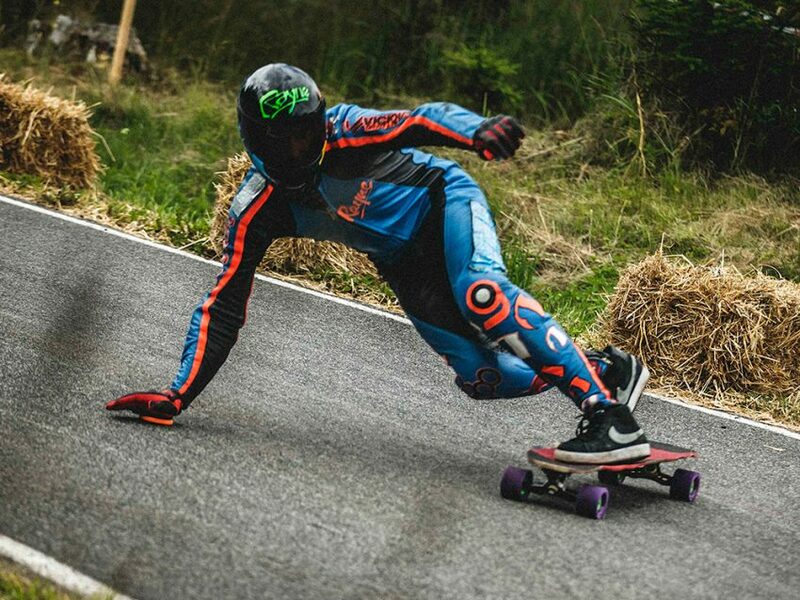 The first quali run went of without a hitch, we sent all 200 riders down the mountain and brought them back up as well in less than 1,5 hours. This meant we had time to do another run so we started sending riders down the track again in the same way, spacing them out by about 10-15 seconds. 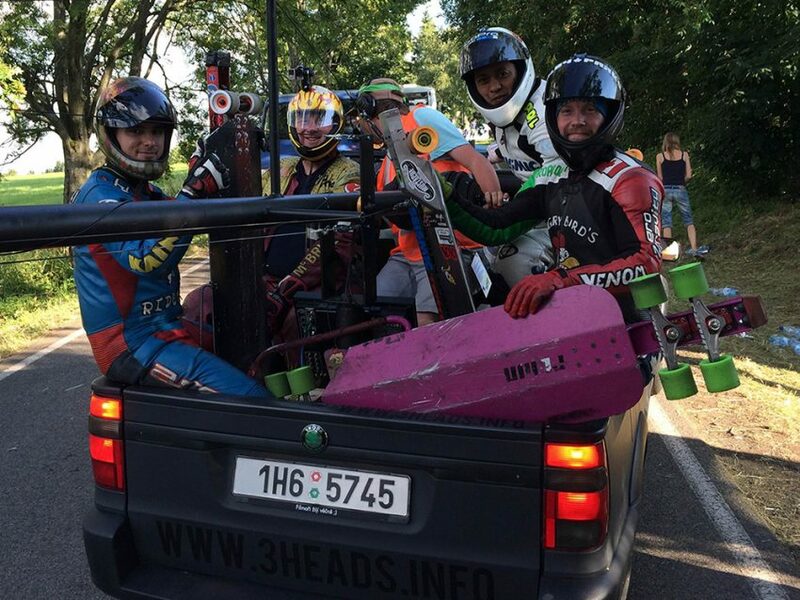 After the last riders were down, the famous 3Heads video crew did a crane-cam video run, with 4 lugers; Mikel Echegaray-Diez, Abdil Mahdzan, Kolby Parks and veteran Chris McBride. Mikel Echegaray-Diez, Abdil Mahdzan, Kolby Parks and and Chris McBride after their run. When we brought up the decoders to synchronise start and finish, a number of riders appeared to not be detected so we decided to scrub this run to keep it fair for everyone. And since we still have the official day of qualifying ahead of us, we'll get a few more quali runs in. Afterwards everyone was eagerly awaiting the times, but the printer was acting up so this took a bit longer than planned. Due to these printer issues we had to postpone the rider meeting half an hour. Here the schedule for tomorrow was announced as well as the top 5 fastest riders in open and the fastest luger, although that can't really be a surprise anymore. When the riders meeting was finished, 3Heads showed a couple of Kozakov videos from previous years, where every video was complemented with loud cheers. The party is not on yet, but that will undoubtdebly change in the next days. After that we'll see what will happen. All depends on how qualis are going. Click here for all Open times. 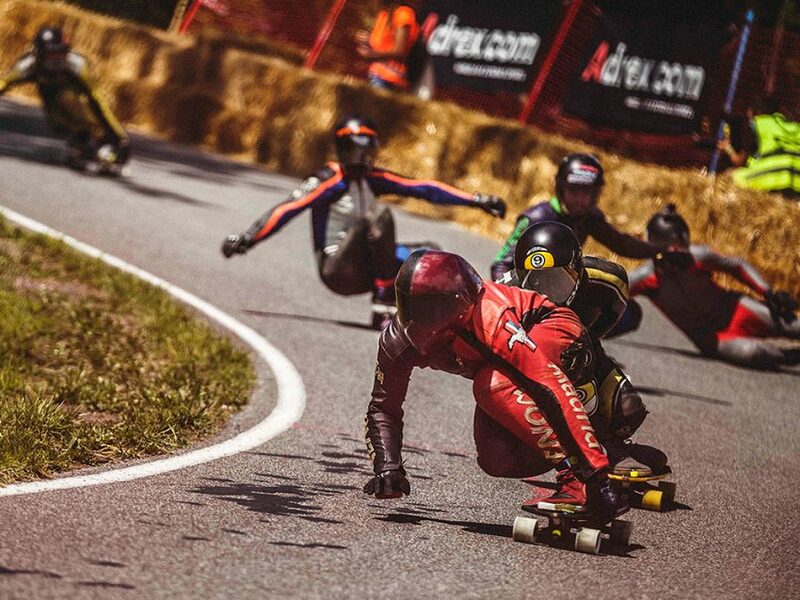 Click here for all Luge times. Click here for all Women times. Click here for all Juniors times. All photos by Tomáš Teglý.